We’d love your help. Let us know what’s wrong with this preview of Weregirl by C.D. Bell. To ask other readers questions about Weregirl, please sign up. When I first saw the title of the book, I thought it might be interesting story since there aren't many werewolf stories that have girls for the werewolf. But then, I started hearing Snape's voice in my head from Prisoner of Azkaban and he was explaining that the prefix "were-" means "man." So "werewolf" means "man-wolf." So doesn't "Weregirl" mean "man-girl?" Am I the only one who was thinking that? I was provided with an advanced reader copy of Weregirl by NetGalley for an honest review. Thank you to Chooseco for the opportunity. Overall, I thought this book was amazing. It had all the things I look for in a female protagonist and storyline and was such a breeze to read! Plus, it had wolves! What more could I possibly ask for? There were some things that confused and bothered me, though. For instance, there was a parental figure relationship that creeped me out Full review at Blame Chocolate. There were some things that confused and bothered me, though. For instance, there was a parental figure relationship that creeped me out a little and some decisions Nessa made (and adventures she got herself into) that seemed a little stupid on her part and could have been handled differently. Of course, she's a teenager and maybe I'm just expecting too much from her, given the situations that were completely out of her league. The pace did slow a bit at times but it was not a huge deal for me, as it gave me time to process everything that had happened until that point and just enjoy the ride. Calmly. Otherwise, I found myself going through chapter after chapter without taking notice of the time, which was incredible! The ending was the absolute cherry on top for me and if I hadn't been in love with this story by then, I was when it was finished. The only negative aspect of it is that I felt like I needed to read more about Nessa and the gang! And I just don't know if there'll be more Weregirl. **Thank you to Netgalley and the publisher for sending me an ARC in return for an honest review. Unfortunately, I did not enjoy this book very much especially towards the end of it. The novel is your basic werewolf story though I would say this had very little to do with the kind of lycans one would usually read about. There were no alphas or hunters or anything like that. Plus, the book deals with a lot of sports which I'm not a huge fan of. The MC Nessa is your average teen girl who **Thank you to Netgalley and the publisher for sending me an ARC in return for an honest review. The MC Nessa is your average teen girl who gets bitten by a wolf and notices her body going through these weird changes. The whole story was very cliched. There was nothing new brought to the table. I enjoyed reading about her relationships with her family and her best friend Bree. But that was it. I didn't find anything about Nessa's character that made her memorable. Plus, I feel that this book was geared to a much younger demographic as even her transitioning into a werewolf was not as intense of a scene as it should have been. On top of this, the author seemed to be content for her to play the role of a high school student instead of focusing on a much bigger narrative like her life as a werewolf. Even the werewolves were rather plain. I guess I was expecting more action, suspense, betrayal and bloodshed. I did not get, sadly. I also would have liked to see more emotions being played out. The MC is going through a very emotional charged state with all these changes and she seems to just accept them which is not natural or realistic. I felt the author was really playing it safe with the storyline. The plot of the story was rather flimsy as well. I won't go into much detail regarding it but the last parts of the book were just plain silly. The idea was so far fetched. I mostly skimmed through them. I preferred the parts when Nessa was in high school even if it was rather mundane. The romantic interest introduced for her was also rather bland. There's no real spark between the characters and seems to have been introduced but not developed further. I also did not like Chayton who is meant to be her mentor. He is hardly ever there when she needs him. I requested Weregirl on NetGalley long time ago just because of its beautiful cover. I didn’t have high expectations and maybe that’s why I didn’t read it earlier. But now I regret that I’ve been waiting so long. Weregirl is a story about Nessa, talented runner, who’s bitten by a wolf on one of her running session. After that she’s starting to feel different. - Her vision is clearer. - She can hear her mother whispering to the phone on the other side of their house. - She improves dramatically her running time. - Animals around her freak out. And then during a new moon she’s turning into a wolf. It was like watching a movie and I really hope there will be a movie based on this story someday. This book has around 400 pages and I have to say that is the perfect number. Everything came with a ideal pace, nothing was rushed. I really don’t like when a character gets any ‚power‘ or ‚ability‘ and five more pages he knows how to use them and control them. Nessa needed to learn how to control her shifting into her wolf form and that made her story ‚believable‘. I loved the slow transformation process the most. But this wolf thing is secondary to a story about a mystery medical study/treatment of kids with different kind of deseases. When one patient of this study die, Nessa feels like something is wrong. And she is right. Suddenly appears a lot of questions without answers and Nessa is determined to find out what’s going on. With every page I had million new theories and unanswered questions. But it’s okay because there will be second and third book! Is Luc the gray wolf? 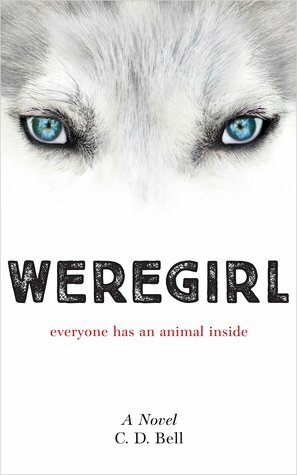 Weregirl reminds me one of my favorite TV Show Teen Wolf so if you like it too, give this book a try. C.D. Bell is an excellent writer. I’ve been looking for a quality shifter story (this was before I checked out Hair In All the Wrong Places and Blood and Rain, which is a ridiculously different style of story than Weregirl), and there was initially a lot to like about this book. There wasn’t a lot of horror, and the small town vibe fit with this type of story. It has a bit of a cozy mystery vibe early on, which worked well for a YA werewolf book. Nessa’s initial transformation is tied to her track running and emotions. That was interesting and reminded me of Ginger Snaps a bit, but without the boat loads of blood (shame). I loved Nessa as a high school athlete trying to get a college scholarship to leave her hometown. I really related to that, and I love stories about female athletes. Her character and her struggles around life are vivid and real, and Nessa’s desires to run kept me hooked on this book even though there were parts I didn’t like. There’s no real romance with Nessa and anyone, which I suspected might happen later in the book, and while there was a direction I think it might have gone, there’s enough obscuring of the romantic interest to allow focus on Nessa’s internal struggles. An athletic, female protagonist draws me into stories, so I liked Nessa, and some of the other characters felt developed, too. The romance plot was interesting in that Nessa doesn’t fall into anyone’s arms immediately, and the story stays friendly and never delves into romance plots, which is abnormal in paranormal stories. I always have mixed feelings with romance plotlines, so Weregirl going ‘light’ on the romance angles didn’t bother me. There’s definitely a tease at who the other ‘real’ werewolf is. Thank you to Netgalley and Chooseco for a free digital copy of this book. Unfortunately this was just a preview of maybe a third of the real book. I was really caught up in it and then realized this can't be a full copy. I really loved the start of the book, the descriptions of the heroine running were so vivid and wonderful, it made my feet itch to go for a run myself. Towards the end of the preview it went into a slightly boring phase and I was missing a love story so far, but other than that it was a really promising start and I am waiting for the full book which is supposed to come out in November 2016. Unfortunately the pretty great impression the sample (about 1/3 had made on me, didn't last until the end, now that I got the full version (via Netgalley again). Nessa was determined to get out of her small town and a cross-country running scholarship was her only hope. It was just Nessa, her mom, her sister and her autistic brother, so every chance she got, she ran and ran, until the night she ran straight into trouble, of the wolfish variety. Her thanks for rescuing a trapped wolf was a bite that would make traversing the trials and tribulations of high school seem like a walk in the park. WEREGIRL by C.D. Bell is a wonderful young adult fantasy with a Nessa was determined to get out of her small town and a cross-country running scholarship was her only hope. It was just Nessa, her mom, her sister and her autistic brother, so every chance she got, she ran and ran, until the night she ran straight into trouble, of the wolfish variety. Her thanks for rescuing a trapped wolf was a bite that would make traversing the trials and tribulations of high school seem like a walk in the park. WEREGIRL by C.D. Bell is a wonderful young adult fantasy with a main character and her quirky best friend who never seem caught up in the teen angst that saturates so many YA tales! Toss in some strange events, a dark corporate presence that seems to be the root of all evil in her small town, and this tale had some “meat” to it! I mean, who doesn’t love the mysterious big bad wolf masquerading as the helpful service dog for an unsuspecting town? All in all, a fun read that “ran” along at a great pace with many unexpected little subplots along the way, including a simple bow to young romantic potential. Weregirl was interesting and original novel. I liked the main character, Nessa, who wanted to get is a scholarship with her running but I found her a bit annoying. I think all in all I had a bit higher expectations for this book. However, it was a good read & I really liked the covers of Weregirl and the artwork inside the book was beautiful as well. Thank you Chooseco and Netgalley for a copy of this book in exchange for an honest review. The first thing that the reader notices about this book is the cover. The cover image sparks immediate interest and one of the main reasons that I chose it. I find the cover of Weregirl mesmerizing. This is the first book I'm reading by CD Bell and I found that the writing to be very good. Weregirl is interesting and pulls the reader in. Nessa wants out of her small town and if she can accomplish this by winning a college scholarship for cross country, then she is going to put all she has into i The first thing that the reader notices about this book is the cover. The cover image sparks immediate interest and one of the main reasons that I chose it. I find the cover of Weregirl mesmerizing. Definite cliffhanger. Wasn't expecting the book to end when it did but I am looking forward to see where the author takes the story. Overall 3.5 rating. I can't get enough of werewolf stories, if they're done right. To me, Weregirl by C.D. Bell isn't one of those stories. It had a strong, solid start that kept me wanting more but after Nessa changed for the first time is when the story starts to fizzle out for me -- then it started to drag...and then NOTHING. I mostly stuck with it because I wanted to know who the gray wolf was but I'm still not even sure if I read it correctly. There were some aspects and characters (Bree, Chayton, and Nate) th I can't get enough of werewolf stories, if they're done right. To me, Weregirl by C.D. Bell isn't one of those stories. It had a strong, solid start that kept me wanting more but after Nessa changed for the first time is when the story starts to fizzle out for me -- then it started to drag...and then NOTHING. I mostly stuck with it because I wanted to know who the gray wolf was but I'm still not even sure if I read it correctly. There were some aspects and characters (Bree, Chayton, and Nate) that I really did like and wished they were given more attention. I’m a longtime fan of just about anything to do with werewolves. It started at a pretty early age when my mother allowed me to watch horror films with her and we watched An American Werewolf in Paris. The rest as they say, is history. From there I dived head first into anything werewolf related including the amazing worlds of Patricia Briggs, Maggie Stiefvater, and Laurell K Hamilton. Those three, although the world building and style of werewolves are vastly different, are my favorite series. N I’m a longtime fan of just about anything to do with werewolves. It started at a pretty early age when my mother allowed me to watch horror films with her and we watched An American Werewolf in Paris. The rest as they say, is history. From there I dived head first into anything werewolf related including the amazing worlds of Patricia Briggs, Maggie Stiefvater, and Laurell K Hamilton. Those three, although the world building and style of werewolves are vastly different, are my favorite series. Naturally when I saw Weregirl available on Netgalley I jumped for joy. (I’d like to note that a lot of reviews on Goodreads right now focus on the story as well as the format. This in my opinion should never be the case with a ARC. They state at the beginning that this is a uncorrected proof so to complain about grammatical errors and common misspellings makes me want to pull my hair out. Every single book had these at the beginning. Ok, end rant.) This story is so unique and I had a near impossible time putting the book down. I started this at 9pm then read until 1am and finished the remainder the next day. I could hardly sleep with the urge to finish the book! Nessa is a typical teenager stuck in a small town called Tether. Tether is the type of town where everyone dreams of leaving and never looking back. Unfortunately for Nessa, that’s only possible with the help of a scholarship. As a junior all she should be worrying about it her classes, SATs and working up the courage to ask Cassian, one of the hottest boys in school, on a date. 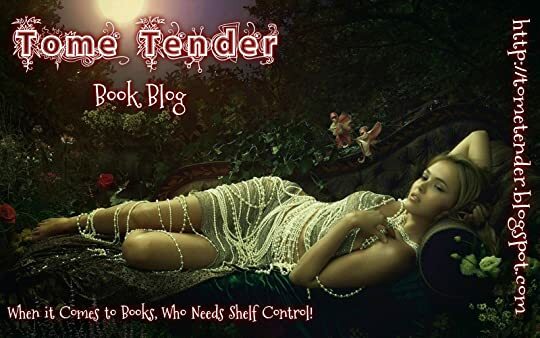 But in Tether, nothing is ever what it seems and when the chance to run with a senior to help improve her time, Nessa gets a heaping dose of otherworldy. With her mother working at the local veterinarian clinic and helping the occasional Tether resident with wounded animals Nessa is sympathetic to an animal in need. Crossing paths with a trapped wolf on her run just proves that point further by her willingness to help save the feral animal. What she didn’t account for was another wolf to be watching, waiting. This one seems bigger with its pure white coat and snarling jaw, and this one has its eyes set on Nessa. After the horrific bite Nessa finds herself in the local clinic with no recollection on how she got there. From there we get the typical werewolf style transformation of rapid unexplained healing, heightened senses, large appetite and one perk Nessa truly loves, faster speed. With the help of her trusty best friend Bree, Nessa slowly figures what in the world is happening to her. This book has multiple things going on at once. We get the first layer of typical teenage romance, high school drama such as doping accusations and the urge to fit in. Then we have the mysterious aspect with Tether’s dark history of being a dumping ground for chemicals and a “white knight” company named Privada coming in to save the town. This at times goes hand in hand with the constant worry and confusion of being a werewolf and trying to figure out why they chose her and what she needs to do. My personal favorite layer is the veru subtle light love interests. That’s right. Plural. Now I know what your thinking, ew gross love triangles, Ashley I thought you said you hated those. Well I do, but this is NOT a love triangle. The love is nonexistant in this book which leads me to belive their might be more in the books to follow? Either way I enjoyed the change of pace as the males in this book was seem more as plot devices for Nessa’s growth.Chayton, Luc and Cassian all play vital parts to Nessa’s growth in the story. I personally jumped on the ship of Chayton who is the local shaman (or medicine man as he likes to be called) and helps Nessa figure out who she is and come to terms with it. He helps her at important times and leads her back on the main path when her inner compass goes astray. He’s also Native American, smoking hot, rides a motorcycle and is twenty-two. *fans self* Need I say more? But alas I do not think anything is really going to come of it because Cassian and Luc are closer to her age. Cassian is the typical heartthrob golden boy everyone in school crushes on while Luc is on Nessa’s cross country team who is quiet, driven and more of an outsider. I feel it vital the point out the diversity given a lot of things Nessa finds out/goes through have to deal with tend to lean toward more spiritualistic than supernatural. There also seems to be a connection between Luc and Chayton but Nessa and the reader tend to overlook that tidbit. C.D. Bell does a great job in blending diverse characters with their own animosity between cultures and background of each other. Weregirl is an exciting and thought-provoking novel that will make your heart pounds as you read more of it. A simple thrilling story about a girl named Nessa who only wants out of her small town by having a college scholarship for cross-country running. Dedicated on winning it, she went to run with Cynthia Sinise, the girl’s team captain, at night. But, on that night, something bad happened to her, she was bitten by a wolf, a wolf that will make her life changed forever. I had fun reading this. Weregirl is an exciting and thought-provoking novel that will make your heart pounds as you read more of it. I had fun reading this. You don’t know where the story might lead as you pass on each scenes. From a very normal life that turns extraordinary, Nessa will discover more unbelievably things around her and that will make this story more enjoyable. There’s also a part there that I really liked, the one with Chayton – on their first meeting – and I won’t share it as I want you to know why I like it. The romance in the air is also good especially if you are having “something” with someone you don’t even know that much and it’s cool right? That you have chemistry with someone you are liking unknowingly because I find it much sweeter than the others. Another thing, I like it when I’m near the end already because I can feel an eruption of butterflies in my stomach whenever I think who the wolf might be. And, I’m looking forward on reading the next book to know more of it. Nessa is such a nice, funny and determined person but I just find her irritating when her crush, Cassian likes her and they are already kissing – like that’s fast huh? Well, I can’t blame her as she’s just a teenager and some teenagers are acting like that. The ending though leaves me hanging on. There’s so much to tell but it was cut off and yeah, I really need the next book to fill the missing part of me that was lost because of it. All in all, this is very recommended. Aside from it having a pretty cover that really attracts me. Disclaimer: I received a reader copy from the publisher via NetGalley. I really enjoyed this story! The first chapter did not quite grip me, but I was thankful that I stayed the course and kept plugging along. I really love the tone and voice of the author and really feel that she wrote very well from the teen point of view. The worldbuilding and Bell’s take on the werewolf origin for this book are very promising, with nods to Native American roots and the tale of big business victimizing small town America. The book is also clean, with some touches on romance and boyfriends, but nothing graphic. The primary focus here is on the main character and her battle with teen life, high school, working toward college…sprouting hair all over her body and an overwhelming hankering for meat. Wait, what? At 400 pages, I feel like the story had a good bit of detail and am really looking forward to where she leads us in the next book. Bell leaves the reader hanging at the end, so I am sure there will be many of us looking to find out more about the mysterious wolf and where life leads Nessa! Nessa Kurland is a junior level high school girl who lives with her mother, and two younger siblings (Delphine and Nate) in a small town called Tether, Michigan. She's a cross-country athlete whose main focus is finishing school and using her talent as her one ticket out. Besides occasionally assisting her mother by working at the vet, taking care of her siblings and being a student, there's not really much else to do in her hometown. The biggest thing to happen in Tether occurred years before, Nessa Kurland is a junior level high school girl who lives with her mother, and two younger siblings (Delphine and Nate) in a small town called Tether, Michigan. She's a cross-country athlete whose main focus is finishing school and using her talent as her one ticket out. Besides occasionally assisting her mother by working at the vet, taking care of her siblings and being a student, there's not really much else to do in her hometown. The biggest thing to happen in Tether occurred years before, when a laboratory called Dutch Chem "accidentally" poured 9,000 tons of toxic sludge into the town's water and soil - poisoning the residents and causing all sorts of problems. Luckily for them, another company, Paravida, bought out Dutch Chem with big promises to clean up their mess. With Paravida's help, some lives were saved, the environment made safer and the children effected by it have been closely monitored and given on-going health care treatments. Nessa's brother Nate is one of the children who regularly visits the lab for check ups - though no one really knows what goes on during those visits. Dr Raab is a very private and mysterious man, and there's a chance that Paravida aren't the heros everyone believed them to be. For years since then, Tether has gone back to being the quiet, small town it was before, or at least that what everyone thought. Until one night, while Nessa was out running at night and she was almost fatally attacked... by a wolf. That wolf bite changes her in some major ways, and those changes force Nessa to take a deeper look into some of her town's residents - both human and animals alike. She's shocked to find that there have been a few other wolf attacks in recent history, but they were kept quiet. She's even more shocked to learn that there are two different kinds of wolves roaming the woods of her hometown. Whats the connection between Paravida and the wolves? Will Nessa be able to deal with her strange new abilities while uncovering Tether's deepest and darkest secrets and help save the town? Surely this is too much pressure for one teenage girl, but who can she turn to for help? Weregirl by C.D. Bell is a paranormal werewolf story filled with drama, action and tons of mystery! This is the first book in the Weregirl trilogy. Ok, so, I requested this book from Netgalley because I was so excited to see that there was a new YA werewolf story to read! I don't feel like there are enough, honestly - I love werewolf stories! And that cover is so pretty, too. Unfortunately, after reading this book I'm left feeling like I'm not sure how to rate it. On one hand, there were a few things I really enjoyed about this book, but on the other hand there are many things I didnt and I'm torn between a two and three star rating. I loved Nessa's relationship with her family - she's close with her siblings and does her older sister responsilities with out complaint. One thing I found confusing about her relationship with her mother was she (and I think her sister Delphine does it too) goes back and forth between calling her "mom" and "vivian". I'm sure that there are many people who may do this with their own parents, but it just felt weird to me - unnatural? I also really love her relationship with her best friend Bree. Bree is an awesome character and at times I liked her better than Nessa (who I found hard to connect to especially at first). While I'm on the topic - I found it annoying how Nessa practically drooled over every boy she befriends - at some point she's attracted to the three main love interests, and her relationship between all of them are very bland. Ugh. One of the best things about this book is that one of the characters is on the autism spectrum and the author doesn't feel the need to mention that every other page. He just is. I honestly think it's only mentioned once or twice towards the end in passing. I absolutely loved that! Sometimes authors tend to go on and on about a characters condition and it takes away from the story and makes it feel unnatural and annoying - this wasn't one of those times, thankfully. Like I said before, I love a good werewolf story, and I enjoyed how C.D Bell tried to take a different approach to them. However, it didn't really make much sense to me. There are normal wolves, deranged / unnatural wolves and shape-shifters - and it all got a little confusing for me on how the werewolf thing works. Then there's Chayton, the 23 year old resident biker shaman. I liked the idea of him, and I understand that he was probably included to add to the culture and magical aspect of Tether, but he seemed a little out of place at times. To top that off, when Nessa be gain going through her physical changes, she just seemed to accept it - she sort of freaks out at one point but that was only because she began growing hair all over her body. Everything else she accepted with no problem. It didn't feel natural and seemed lazy to me. There was a ton of mystery through out this story, but some of it was mostly because there were so many plot holes that I couldn't understand what was going on or the reasons they were. Besides how the whole werewolf thing works, and how those other wolves came about - I was shocked that this town trusted Paravida so blindly - and I do mean blindly. For example, out of all the kids they were giving medical treatment to because of the toxic spill, not one of the parents insisted on observing any of their treatment sessions? None of those patients told anyone what was happening behind those closed doors? I would understand if the townspeople were threatened and forced into silence... but they werent. They just turned a blind eye to everything that company did, until the wolves decided to do something about it. And there are similar situations like this too. Most of the plot twists were easily predicted, too. Despite all the issues I had with this book, I was interested enough to see how it ended, though I'm not sure I would recommend it to very many people. I think this might have been written for a much younger audience than was intended - middle grade instead of YA, maybe. Anyway, I didn't exactly hate this story, but I didn't enjoy it as much as I hoped I would. I hope that most of the plot holes are filled in within the next books. I wish there would have been more depth to the characters and the town itself - more history to tie everything together and seem more realistic. I don't know if I will continue on with this trilogy. I requested this on Netgalley, I didn't now it was a preview. The part of the story that I read was good, but needs a bit of polishing. To make a better judgement, I need more. Books can fall apart in the end. I would definitely give the entire book a chance. I fist pumped the air and started cheering when I finished. 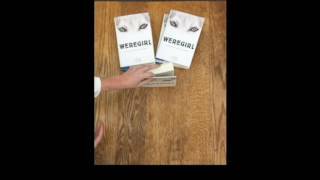 First I want to thank Chooseco for approaching me to read Weregirl (and its subsequent books) in exchange for an honest review! I honestly was scared this book could have the potential to be another Twilight disaster but I was relieved to find out that that was not the case! I actually didn't want to put this book down. Even the sports aspect of the book was written in a way that held my interest! If I didn't already love Werewolf stories the Background of the town and the new Paravida buyout and the Clinic Studies on the kids was immediately intriguing and I wanted to know more! This book, I think, would appeal to more than just werewolf lovers! I received an ARC for free, in exchange for an honest review. I wanted to this book to be a 5-star book so bad. I thought it would be. It has a lot of great stuff. Between the werewolf and intrigue and the smooth reading that kept me racing through the pages, I was so certain it would be at least 4 stars. So what happened? The first problem that started unraveling everything for me was the ending. Granted, the romance was a minor plot point, but when it fell so flat, it just seemed to zap the ener I received an ARC for free, in exchange for an honest review. The first problem that started unraveling everything for me was the ending. Granted, the romance was a minor plot point, but when it fell so flat, it just seemed to zap the energy from the whole story. The problems kind of worked their way backward from there. In order to really address my issues, I'll have to get into specifics, which may spoil it for some. (view spoiler)[Nessa meets a gray wolf. It's apparent from the beginning that he's also a werewolf. Chayton even tells us he's a werewolf. But Nessa never seems to get that. She's always treating him as if he's a wolf (what will he think when he sees a girl come out of where the wolf used to be?). This got annoying, especially as the author dropped hints as to whole the gray wolf was, and Nessa (literally) ran in the other direction. Even at the end of the book, faced with nearly indisputable proof that she knows the gray wolf's human form and that she may be in love with him, I'm not sure Nessa has any clue who he is. I mean, come on! It also seems to me that at the end she's in more danger than she was when she started. Despite resolving the immediate conflict, the giant company has video of her transforming, they have her blood sample, and she's in possession of papers that would prevent her from suing the big company (I'm not sure if she signed them, but that seemed like a huge setup with no resolution). I know authors want to leave room for the next story, but either set it up or don't. Don't just leave us hanging! This was a bit too much for me. Bree does a lot of the heavy lifting in this book. I know Nessa is kind of put out by the whole werewolf transformation stuff and trying to keep her life on course, but seriously. Most of the complaints are relatively minor, but they all add up to a bit of disappointment, and an ending that doesn't satisfy is the hardest for me to get over. Seriously, this could have been a four or five star book if the romance angle had panned out properly. That ending really took Nessa's perceived IQ down a few notches. Ugh. So unfortunate. Warning: This review/rating is based on my feelings, thoughts, likes and dislikes. You should read the book to form your own opinion/thoughts. Read on! Well, i have to say that i really wanted to like this book. I love werewolves and all the entails and i thought this was gonna be different but the same. "I guess I shouldn't really say this, but it's true so I will," Cassian went on. "I don't care if you did take whatever illegal substance. I would understand. I would even kind of respect you for it..."
Uhm, wait, what?! You respect her (a woman you are romantically interested in) for taking illegal substances?! Seriously? And Nessa, she is excited that Cassian is "interested" in her. I don't know if the author was trying to portray the immaturity that comes with teenagers, but if this is what teenagers are thinking, i'm really afraid for my own kids, i'm gonna enroll them into becoming priests! It was boring at best, i really struggled with finishing it, and i wanted so bad to DNF, but i had made a commitment so i didn't. I did like what the author intended with the story and the plot, but it wasn't executed very well. I couldn't connect with the characters or anything..there were too many questions, mysteries that weren't resolved and i don't know if there will be sequels. Thank you NetGalley for providing me a preview in exchange for an honest review. From the preview that I received, I have (very) high hopes for this book. With that said, let me start at the beginning. When reading the prologue, I was a bit confused at first on how it connected to Nessa. But after finishing the final chapter I received, I think I can tell how it connects (or at least have an idea). The last chapter given has me wanting so much more! I'm dying to know who the trapped wolf is and w Thank you NetGalley for providing me a preview in exchange for an honest review. From the preview that I received, I have (very) high hopes for this book. With that said, let me start at the beginning. When reading the prologue, I was a bit confused at first on how it connected to Nessa. But after finishing the final chapter I received, I think I can tell how it connects (or at least have an idea). The last chapter given has me wanting so much more! I'm dying to know who the trapped wolf is and where Cynthia went. I am also secretly hoping there might be romance between Nessa and Cassian! Even though they haven't interacted yet, I still think they would make a great couple, but I have to wait and see what Cassian's personality is like (I'm secretly wishing that I will like Cassian!). I have read a lot of werewolf stories online from sites like Wattpad, and I have yet to come across any story similar to this. It's quite refreshing! The chapters received are fast-paced, intriguing, and very original. I'm excited to see where C. D. Bell takes the rest of the book! I received this ebook for free from Netgalley for an honest review. The story stays off with giving us the history of Nessa’s daily life, family and what she is working for. It is in third person point of view and follows only Nessa around. It is a fast pace coming of age story with a twist. There is something going where she lives. Really strange things happening and Nessa never really thought about them until now. There are people trying to help her understand what is happening. However, she c I received this ebook for free from Netgalley for an honest review. The story stays off with giving us the history of Nessa’s daily life, family and what she is working for. It is in third person point of view and follows only Nessa around. It is a fast pace coming of age story with a twist. You think you know where this book is going, but you actually don't. A very different take on the whole 'girl is bitten and turns into a werewolf' scenario. Pros: Originality, very thorough and complex characters, and a very interesting plot. Realistic emotions and relationships. Cons: Maybe a bit slow-moving, ending was a bit unsatisfying. I bought my own copy of this book after receiving the sequel to promote and review! Yay me! Talented teammate Cynthia invites Nessa on a nighttime run through Tether's overgrown forest trails. But she speeds ahead, leaving Nessa alone to discover a trapped wolf. Nessa tries to free the animal but is badly bitten, seemingly ruining her hopes for a strong fall season. I never was into werewolves. I was more of a vampire girl in my youth. But I will say that I enjoyed this modern take on werewolves and I loved how it focused on a girl instead of a male protagionist (like the majority of werewolf books). I thought the plot was intriguing enough and I did like how the book had a good flow to it, but I had a lot more dislikes about this book then likes. I felt that the book became stagnant towards the end which made it really hard to finish this book. I also felt that the characters could have been developed better. I felt the side characters were a little more developed than our main, which made it a little frustrating to read. I also felt that the book could have been written a little differently. I think maybe I'm just spoiled by all of the werewolf movies, but I had expectations that weren't fulfilled in this book. This book also ended on such a cliff hanger! Verdict: While this book had a lot of promise it didn't hold up well for me. Maybe my expectations were too great for this book. If you enjoy werewolves, this is the book for you! Nessa lives with her mother, her younger sister, and her younger brother who is on the autism spectrum in Michigan. Her mother is a veterinary technician, and the family struggles financially. Nessa wants to escape her small town, which had been the site of chemical dumping, although the company responsible is bought by Paravida, a company that promises to make reparations. The only hope she has is to improve her times at cross country in order to get Copy handed to me by the author at Kidlitcon! This book is a fairly easy read. It took me very little time to finish & The beginning starts off as similar to the tv show Teen Wolf (whether that is good or bad, is up to you); A girl is out running at night when she gets bitten by a wolf and flees, her friend no where in sight. She then goes on to excel in cross country (like Scott from teen wolf excelling in lacrosse) and has an extremely loyal best friend who does anything she possibly can to help her best friend almost without question (like Stiles). Other than that, the teen wolf similarities end here. The research put in about wolves and their behavior was much appreciated in this novel and the whole idea behind Tether and the effects of the contaminated water issue, as well as the people behind it, is a really interesting idea and turn in the plot. I finished this book in a matter of 24 hours. It was that entertaining and kept me on edge. I really liked Nessa's character 4.8 out 5 stars. I really liked Nessa's character. She has a strong and driven personality who seem fit for the role of the "chosen" one. The revelation throughout the book left me bedazzled and I thought it was really smartly done. Bree was one of my favorites. She really is a great best friend. I found myself enjoying the science fiction part of the story and I also appreciated that it didn't have much emphasis on the romance aspect. Still we get to see a teenage angsts and some pheromone buzz in the air. The story is not over. It will continue with the next book and I am hoping we get to see more character development. Great book. Nessa Kurland is a cross-country star in her hometown of Tether, Michigan. She is planning her escape by way of a sports scholarship. Then she is bit by a wolf and her life changes drastically. First of a series.